They’re unlike anything furniture retailers have ever seen. Have you ever read about a time when people believed the world was flat? Or when it was thought the sun revolved around the earth? Sure you have. Well, just as accepted truth about our physical world changes, so do our notions about doing business. In fact, the business landscape is littered with the carcasses of people who were certain they knew the truth… right up until the day they found out that they didn’t! So that your furniture business doesn’t end up on that trash heap of out dated truths, you should take some time, before it is too late, to review the kinds of people you hire. The era of pull marketing has come to a screeching halt. It’s no longer enough to design a furniture collection, build it, bring it to market with a slick ad campaign, sell it to retailers and ultimately deliver it to customer’s homes. A decade after 9/11, the introduction of the DVR and satellite radio, the die has been cast on a different tomorrow. Consumers will tell you what they want, thank you very much, and they’ll tell the world on their blog and Facebook while they’re at it. Your customer wants to have a dialog, not be spoon fed answers to questions they’re not asking. They want to control the conversation and tell you what they want in new product development. People have changed, consumption has changed, technology has changed, but - most importantly - what is cool has changed. So, have you changed? • Do you text? Do you have email on your cell phone? What else do you use your phone for? • Do you have a laptop? • What RSS reader do you use? Can you show it to me? • What blogs do you read? • Do you rank first for your name in Google? • Do you use Delicious? Can you show it to me? • Do you have a blog? Can you show it to me? • Do you use Facebook, Twitter or LinkedIn? 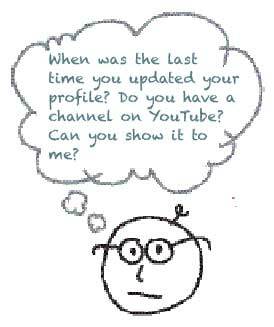 • When was the last time you updated your profile? • Do you have a channel on YouTube? Can you show it to me? If your prospective hire gives you a distant gaze or mumbles, “I was planning on setting that up,” then you don’t have a digital citizen on your hands. It is not easy to fake these attributes. People either live online or they don’t. As an employer, it is imperative that you know what these questions mean and how to find their answers. To realize the benefits of all this information, your company will need to collect and analyze lots of data. This means that when you bring on new hires, you should consider hiring folks with some real chops. It’s difficult to figure out if someone is analytical from a standard interview, so to test for it: ask your interviewees to bring their favorite spreadsheet. Stop laughing. I’m not even kidding about the importance of getting digital analytical minds on your team. I remember the excitement I felt when we hired a $1,000,000 writer from the retail furniture store down the street – and he brought his Rolodex compiled from nearly twenty years of selling. Today the Rolodex has been replaced by web reach, cultivating a personal network of blog subscribers, Twitter followers, Facebook friends, and LinkedIn connections within the industry through the web. At the recent High Point Market, a supplier executive told me about a recent new hire. He said, “We are having the best market in our history because she knows everyone.” When you hire someone with their own blog, Twitter feed, Facebook account, and LinkedIn account, you automatically extends your corporate reach and open up potential new sales. This is another area that is difficult to quantify in a typical interview. Determining the personal web reach of an individual may take a little time and research. Halligan and Shah suggest asking pointed questions when you are both in front of a computer during the interview. It may seem crazy, but at least part of the interview should include a session where you and the interviewee are online together. • How many subscribers do you have on your blog? 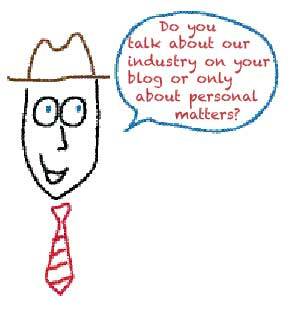 • Do you talk about our industry on your blog or only about personal matters? • How many Facebook followers do you have? • Do you talk about our industry on your Facebook account? • How many LinkedIn followers do you have? • Do you talk about our industry on your Twitter account? Web reach is hard to acquire and is very valuable. Compare your prospect’s web reach to that of other candidates and to your company’s own reach to see if you can gain potential new business by bringing this person on board. Most furniture organizations underestimate these assets. Becoming skilled at evaluating an individual’s reach allows you to snap up some high-quality talent that is undervalued in the marketplace. The time horizon for getting the best of these folks is short, because eventually, all companies must figure this out or they will continue to fall further and further behind. Be on the lookout for content creators to proliferate your website, company blog, social profiles with what the authors of “Inbound Marketing” describe as “remarkable content that spreads virally in the social media sphere, attracts links from other sites, and drives up your rankings in Google.” Salespeople who update your Facebook with design trends, sales managers who blog customer success stories and warehouse managers who Tweet new arrivals can change your business from sleepy, small-town positioning to a hip, relevant and authentic mentality almost overnight. Test applicants by paying them $75 to write a blog article for you. Measure the effectiveness of the article by seeing how many links it attracts, how many views it gets, and how many comments it receives relative to other blog content you have produced. • Have you posted your videos to YouTube? Can I see them? • Do you have a YouTube channel? 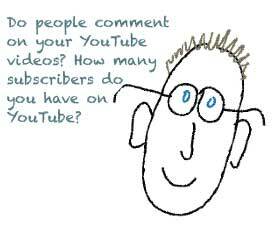 • How much traffic does your YouTube channel attract? • Do people comment on your YouTube videos? • How many subscribers do you have on YouTube? • Find out who uses Facebook and Twitter for their personal use, and ask them to create a strategy to develop a Facebook page and Twitter account for your business. Find step-by-step instructions at imagineretailer.com/ social-media. • Read 3-4 industry blogs daily to keep ahead of news and also to see how others are using this media. • Use Google tracker to see what is being said about your business and the industry as a whole. • Add Inbound Marketing and other books like Open Brand to your reading list. • Join a local internet club or attend an inexpensive training session such as WordCamp to develop your skill set. In the business world of inbound marketing and communication, the ideal employee is a four tooled player: a digital citizen who is analytical, has a web reach, and can create stand out content. Employees who are “digital citizens” will shine more brightly than your more experienced veterans, regardless of position. It doesn’t matter if you are talking about the warehouse manager, the staff accountant, buyers, or the sales staff. Online skills are no longer a luxury; they are a must-have if your organization is to move forward.